Real-time insights on in-store execution? Create a positive return on investment through the power of crowdsourcing. Let’s be honest, retail implementation can be improved. Increase your product campaign efficacy with real-time execution information, no matter where you are located. Make timely & fact-based adjustments, ensure a better shopping experience, increase turnover and develop stronger relationships between retailers and suppliers. Missed opportunities within retail are instantly visible. Be on top of your sales figures and spot opportunities to improve your campaigns faster than ever. Share fact-based retail reports and strengthen relationships between retailers and suppliers. This leads to a better shopping experience. Gain better control over your KPIs and spot execution flaws with dynamic analytics. Alert your field sales team to resolve any issue you find. SmartSpotter's power relies on mobile crowdsourcing. Connect with shoppers who are in the right place at the right time and gain shop floor insights instantly. In need of merchandising or in-store corrections? Just send out alerts to the field team or even the PRO Spotters! Track and boost your national promotion's efficiency in a standardized and cost-efficient manner. Alert your field sales team at any location that needs attention. Increase control over product availability by ensuring planogramming is executed as agreed. SmartSpotter provides instant OSA & OOS readings along with sales-effect analysis. Present real-time information over time and location. In-store agreements can be as low as 66% when compliance isn't monitored. Shoppers see real prices. Get insights of the prices displayed on the shelves or online at SKU level and see all fluctuations over time. Apply trend-based knowledge and historical views per location and chain. Based on your own assignments and benchmarks. One of many frustrations among consumers is that 5% of all products are sold out. With loss of sales as result because many consumers choose a different brand or shop! Research shows 34% of in-store promotions fail to communicate effectively with consumers. Additionally, 15% of locations run out of products during promotions. Improved promotional compliance by 20% could potentially lead to a turnover increase of 7%. 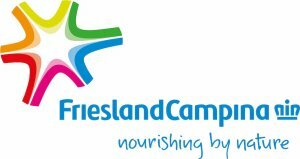 FrieslandCampina works with SmartSpotter in two areas of expertise. Each week we measure major promotions among all retailers by means of promo measurements through Field Sales and Spotters. This way we enable our Key Account Managers to immediately make adjustments (where necessary), but also use the powerful dashboard to promote evaluations among retailers. Additionally, from the SmartSpotter TEAM dashboard we share data internally and with retailers of the major round orders of Field Sales to demonstrate its importance. These services allow FrieslandCampina to work even more professionally. Beiersdorf has improved the effectiveness of their shop floor activities these last few years thanks to the partnership with SmartSpotter. By linking the measured promotion execution with resale results, we gain perfect insight into the effectiveness of POS materials per channel. By discussing our findings with retailers we then achieve improvement in promotion execution together. Improved execution also benefits the retailer after all. We believe SmartSpotter is the most efficient and user-friendly way to extract shop floor data. This data is immediately visible and available in every possible format as well as being integrated into our own systems. The real-time dashboard allows us to take immediate action during the measurement. This ensures perfect distribution of our major titles. Well-presented information empowers people to take action. Your fact-based dashboard is organized and available for the right people in a decision-making format. Verified and geo-located data make your real-time analytics extra effective. SmartSpotter is your eyes and ears on the shop floor so you can take in-store execution to the next level! is to maximize synergy between retailers and suppliers. By 2024, all agreements made between them have been fulfilled. An additional retail turnover of €1 billion could be generated as a result.